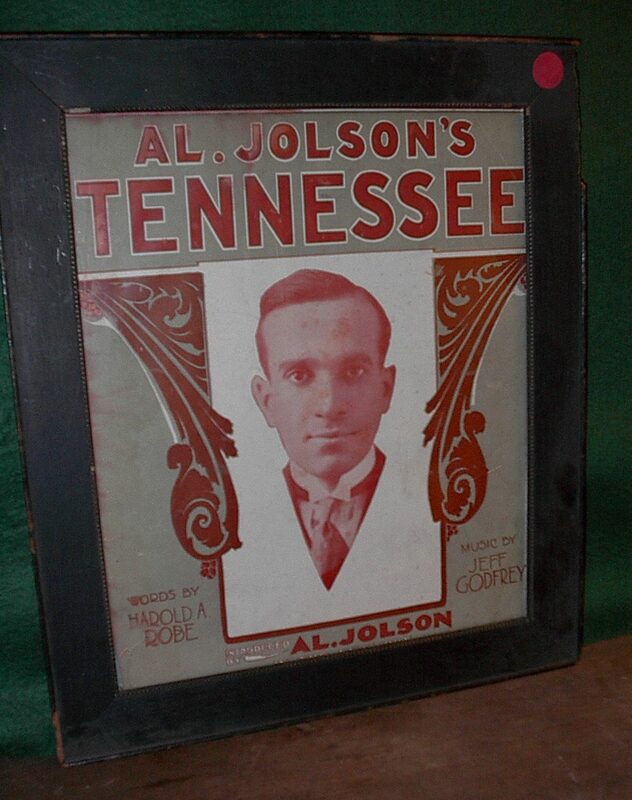 Framed Al Jolson Music Sheet. It measures 12 inches tall and 9 inches wide. Not counting frame.